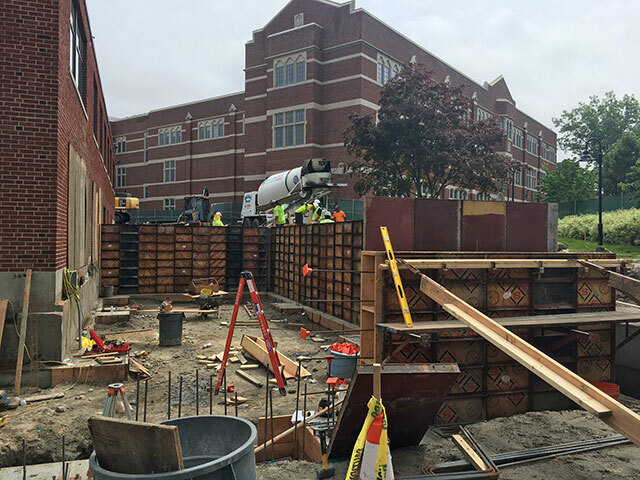 Foundation walls for the Hickey Hall addition are formed and being poured. 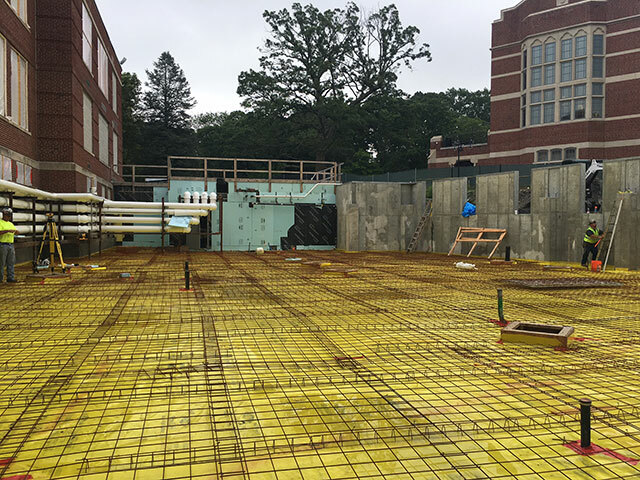 The Science Complex Addition lower level slab is almost ready to be poured. The wire mesh shown will act as reinforcement within the concrete slab.